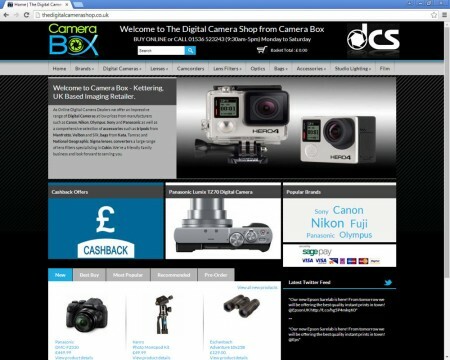 Camera Box Kettering Ltd are an independent imaging retailer based in Northamptonshire who offer a wide range of new and used photographic equipment. While we can, and do, provide vivid and vibrant web site designs, Camera Box is a great example of how we can also take in a design provided by the client, or other designer, and apply it to our framework. In this case, we were provided with a PhotoShop "mock up" of how the client wanted the site to look and we used that as the basis for the final layout. As it's all too easy to do things in PhotoShop that are "undesirable" in the real world of the internet, it sometimes requires small tweaks and adjustment to make any given design work. While we make every effort to build a site that matches the initial client design we also endeavour to build sites that consider other important aspects such as browser and platform compatibility, standards compliance, accessibility, search engine optimisation and more.